In late 2015 we invited an influential Melbourne designer to curate our Castella range. The result is the beautiful, considered and exciting 2016 Castella Collections. Globally sourced from manufacturers in Italy, Spain the UK and around the world, the Collections are overflowing with some of the most beautiful and functional architectural hardware in the market today. 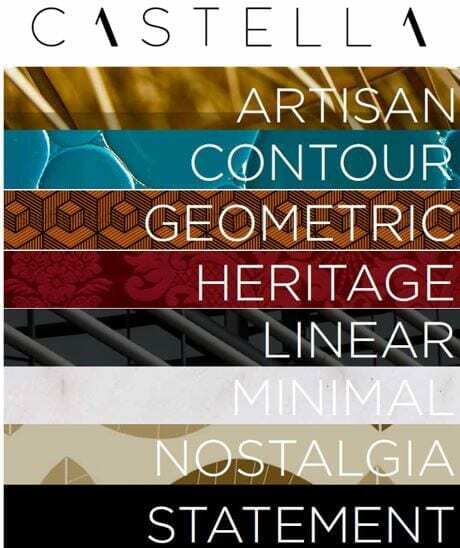 Whether you are an architect, interior or kitchen designer, a developer, joiner, builder or discerning client, the 2016 Castella Collection offers timeless or unique options for every project, because our Collections are not just about superior design, they are also about accessible luxury. This contemporary forward thinking collection is underpinned by quality, craftsmanship and an uncompromising design aesthetic. The Castella Collection is a place where high performance intelligent design and respect for tradition are embraced, a place where style goes hand in hand with function.